En español ¿por qué no? La Consejería de Educacción en el Reino Unido e Irlanda has just sent me the following invitation that I’d like to share as I know it will be a wonderful day! 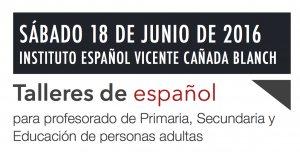 The Seminar will review and debate the integrated learning of Spanish through curriculum content. The seminar is free of charge, funded by the Consejería. Please fill in and send us the enclosed application form before November 22nd. El Seminario tratará sobre el aprendizaje de español a través de contenidos, con ejemplos recientes en el Reino Unido. 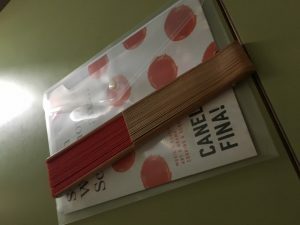 Es gratuito, subvencionado por la Consejería. Para inscribirse, rellene y envíe a este correo el formulario adjunto, antes del 22 de noviembre. The ‘enclosed form’ is here – Formulario. The programme for the conference is below. It looks a great day with a mixture of research and theory about, and classroom experiences of CLIL and bilingual learning. And it’s free, plus not in London! I’m pleased to say that before I leave these shores, I will be speaking for one last time (for now!) on October 1st in London. Details are below, including the programme and the application form to complete. Great value for money at £25! Plazo de inscripción: hasta el 26 de septiembre. 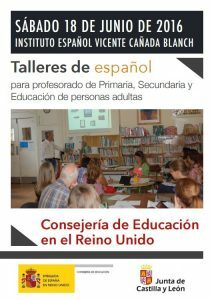 The Consejería de Educación are organizing their Spanish Workshops. Another of the poems suggested by Joaquín Moreno in his presentation about poetry in Spanish teaching and learning was Nanas de la cebolla by Miguel Hernández. He played us the poem sung by Joan Manuel Serrat – here it is below, along with a perfomance of it in spoken form and also the words. Another little gem I found on the Consejería site last night was a resource aimed at language awareness. This is a collection of activities showing how modern languages are part of everyday life. The idea is to make pupils more aware of the importance of languages, the role they play in many aspects of young people’s experience and how languages can be learned while having fun and playing. This booklet is aimed at children of Primary six and seven (that’s our Year 5 and 6 I think) although I reckon it would be good as a transition project between Primary and Secondary to get know pupils and find out about their experiences. And the best bit? It’s freely downloadable from the publications tab under material didáctica. I particularly like section 2 where it asks pupils to talk about languages spoken by their family as well as their peers. And I discovered something about Haribo too! I recommend you explore the site if you haven’t already – there are other resources (some paid) that are well worth considering including PDFs of resources that are now out of print. Having posted my presentation on the QCA unit El Carnaval de los animales earlier today, it seemed rather appropriate that I should find a free resource that goes with the unit this evening! I knew that the Consejería de Educacción had a wonderful poster to illustrate this unit, but until now didn’t know that they had a downloadable animation that features the same wonderful illustrations. With files that are compatible with Mac or PC, the animation presents the vocabulary if you press the musical notes, then asks you to drag the correct word to the correct picture. If you make a mistake, there’s a lovely chorus of children saying ‘no’. Only does one thing but fun nonetheless. Lots of other great stuff on the site for the primary classroom too. More at a future date! Deadline for entries is 17.00 on Friday 4 December. Individual prizes and whole school prizes for best participating schools. The quiz is open to students only (school prizes are allocated on the basis of the school which has the most number of participants, or the most number of correct winners). Individuals may enter at one level only, KS4 (GCSE) or KS5 (AS/A2). Entries are accepted on condition that it is the student’s own work. This must be verified by the class teacher. 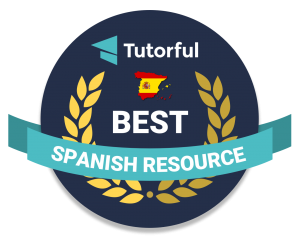 Spanish online course for teachers. 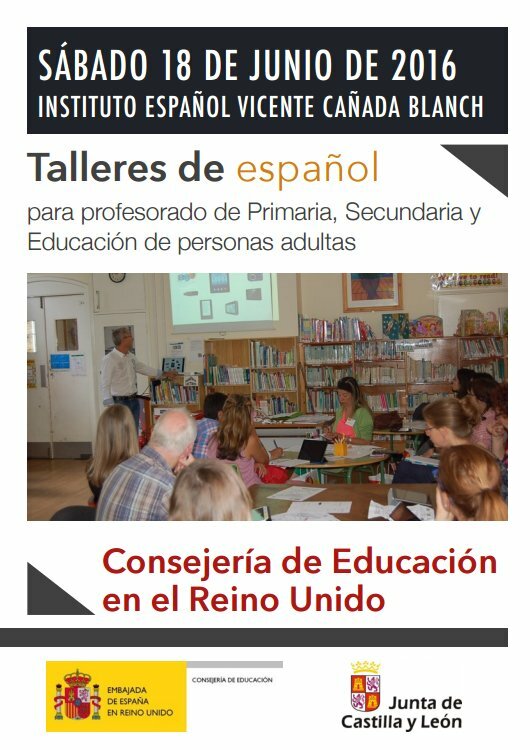 Received an exciting email from the Consejería de Educación today about courses for teachers of Spanish. 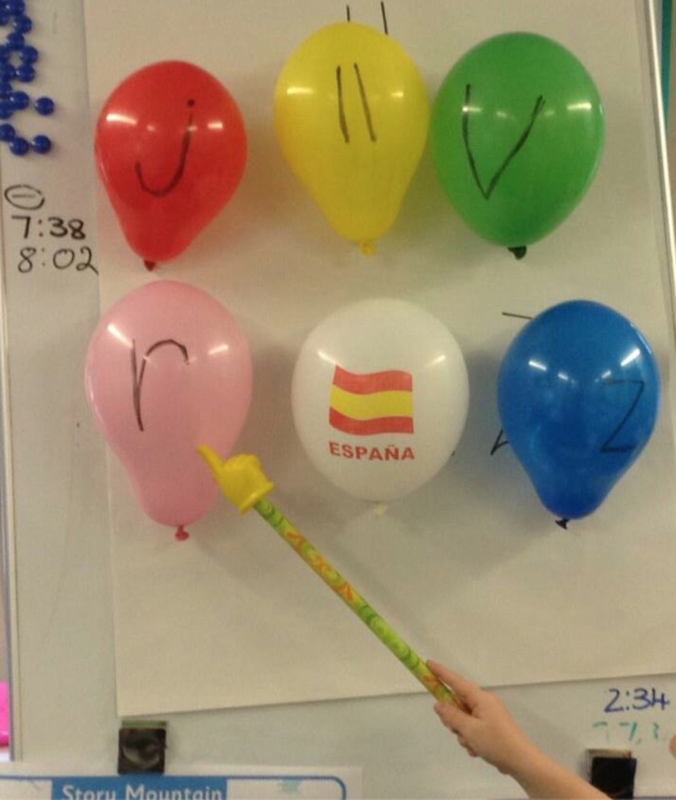 What’s most amazing is the cost – £10 for ab initio ; £20 for elementary! 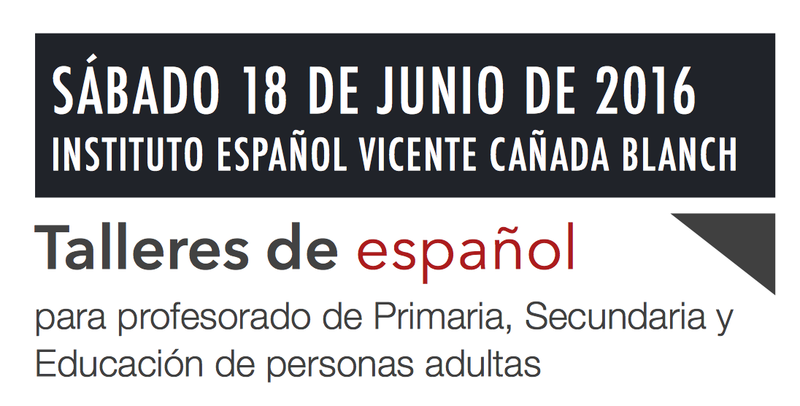 If you’re interested, you can get more details on the website of the Consejería where you can also download a PDF advertisement and application form. Closing date is 11th December – and it’s first come, first served so, get your skates on! !